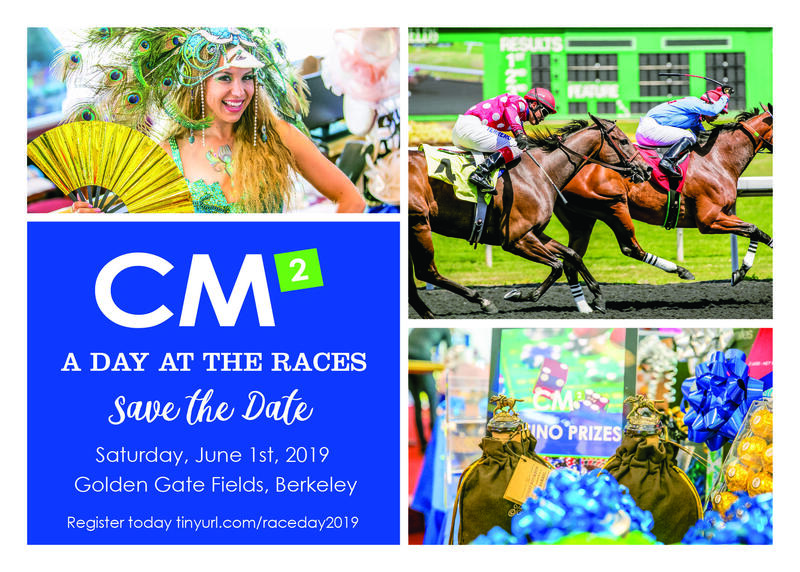 Celebrate with us at The Turf Club at Golden Gate Fields Horse Racing Track in Berkeley. Situated on the top level of the grandstand, the legendary Turf Club offers spectacular views of the track and the San Francisco Bay. We will have a gourmet buffet, premium bar, and lots of fun and entertainment. There will be raffle prizes, casino games and the infamous CM2 spinning wheel – all this fun, just for you! You're invited to take part in the festivities for a day of fun and excitement! Play for casino raffle tickets and the chance to win many prizes! Meet each of our sponsor companies and get your card stamped for a chance at winning a Flat Screen TV! Spin the Wheel for a chance to win Betting Vouchers or free shots! Take your Betting Vouchers to the betting windows to place your bets! The more casino raffle tickets you win, the higher the chance to win one of the many prizes! Make it a day to remember with commemorative photos at the photo booth. Clear your calendar - It's going down on June 1, 2019! You're invited to take part in the festivities. This is going to be epic! The Turf Club at Golden Gate Fields in Berkeley, CA.